What? An annual gathering of women and their loved ones to celebrate, educate and empower each of us while basking under the Maui Moon. Each year, Wahine Week features a series of events–from luncheons to workshops to a Closing Night Music Festival–all with a focus on getting women (and those who love and support us!) together to build a stronger network and base from which women can prosper on Maui and beyond! The calendar of the Week’s events will be posted here on the Wahine Week Website with a focus on Art, Music, and Professional Development for entrepreneurs. Participation is only as desired: You choose how much or how little you want to join in the festivities. The point is, they are there for the joining! So tell your Mothers and Fathers, Sisters and Brothers, Girlfriends and Boyfriends and Friends–Meet Me on Maui for Wahine Week because something good is going to happen—-it already has. Where? Maui…all over! 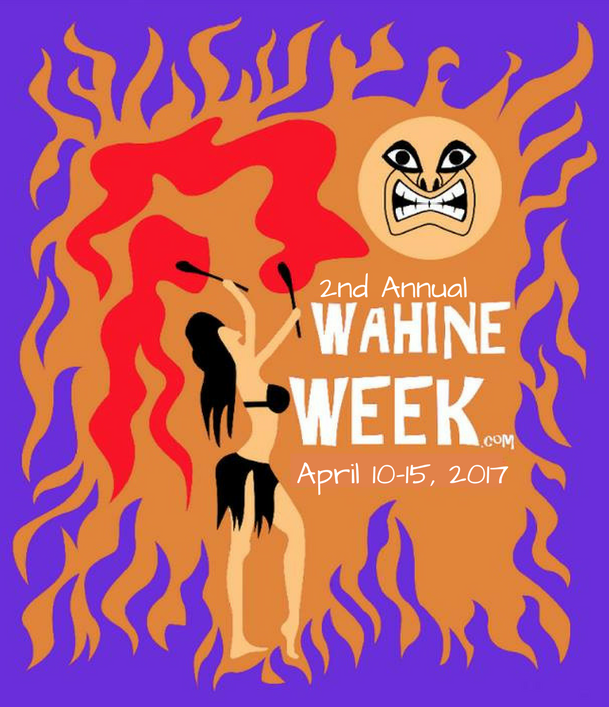 Details on each Wahine Week event will be listed on the Gatherings page. The various luncheons, workshops and activities happening during Wahine Week will be listed under Gatherings as they are confirmed and updated on the Wahine Week Facebook page. Want to be the first to know? Sign up for our Email List.